As a child, Ifeoma Onyefulu was catapulted into a strange storytelling world where spirits ruled and animals talked, a world not so much about happy endings, more about learning a lesson or two. For this sparkling and funny collection she retells nine of the best Nigerian tales. In The Girl Who Married a Ghost, stuck-up Oglisa discovers that pride goes before a fall; and in the Wrestler and the Ghost, the greatest wrestler in the world gets his come-uppance when he challenges a ghost. There are also stories featuring animals from the African jungle. Tortoise tricks the other animals so that he can win The Great Eating Competition, and hoards food for himself in The Famine - until the other animals become suspicious. Why the Lizard Nods His Head has something to say about greed - how it can get you into deep trouble, while Lazy dog and Tortoise shows that everyonee should work together, unlike Dog who would never help his friends dig a well. 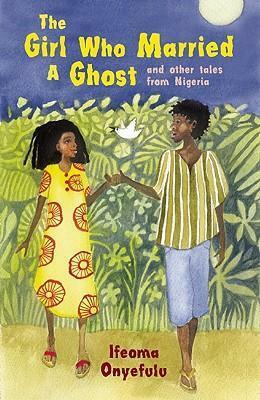 Ifeoma retells these magical stories for generations of city-dwelling children who have moved far, far away from the world of animals and spirits.